The new Executive Director of the United Nations Centre for Human Settlements (Habitat), Mrs. Anna Kajumulo Tibaijuka, comes to Habitat from the United Nations Conference on Trade and Development (UNCTAD) where she has been the Special Coordinator for Least Developed Countries, Landlocked and Small Island Developing Countries. In this role, Mrs. Tibaijuka has been responsible for strengthening the capacity of LDCs in trade negotiations with the World Trade Organisation. Most recently, Mrs. Tibaijuka was also designated the Executive Secretary for the Third United Nations Conference on Least Developed Countries which is to be held in Brussels next year. A Tanzanian national, Mrs. Tibaijuka holds a Doctorate of Science in Agricultural Economics from the Swedish University of Agricultural Sciences in Uppsala. From 1993 to 1998, when she joined UNCTAD, Mrs. Tibaijuka was Associate Professor of Economics at the University of Dar-es-Salaam. 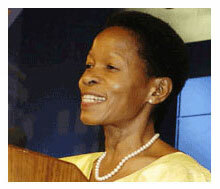 During this period she was also a member of the Tanzanian Government delegation to several United Nations Summits including the United Nations Conference on Human Settlements (Istanbul, 1996); the World Food Summit (Rome 1996); the Fourth World Conference on Women (Beijing 1995) and the World Summit for Social Development (Copenhagen, 1995). At these conferences, Mrs. Tibaijuka was an active member of the Civil Society and NGO Forums. At the World Food Summit in Rome, she was elected Coordinator for Eastern Africa in the Network for Food Security, Trade and Sustainable Development (COASAD). Mrs. Tibaijuka has also been a Board Member of UNESCO's International Scientific Advisory Board since November 1997. Dedicated to the role, and rights, of women in development, Mrs. Tibaijuka is the founding Chairperson of the Tanzanian National Women's Council (BAWATA), an independent, non-politically aligned, organisation advocating for women's rights to land, inheritance and social services. Mrs. Tibaijuka is also founding Chairperson of the Barbro Johansson Girls Education Trust which is dedicated to promoting high standards of education amongst girls in Tanzania and in Africa. Mrs. Tibaijuka was also the convener of Tanzania's Local Entrepreneurs Initiative (TALE), a voluntary group mobilising and assisting Tanzanians to form joint venture companies with overseas investors. She has been a Board Member of the Tanzania Economic Policy Development and Management Foundation and is a Director of a number of private companies dedicated to encouraging entrepreneurship and efficiency in the marketing of agricultural commodities. 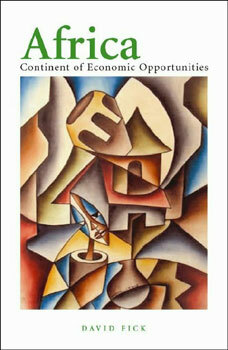 Mrs. Tibaijuka has undertaken extensive research on agriculture, rural development and human settlements policy; trade and marketing, cooperative development and aid policy; welfare economics with a focus on education, health and nutrition, water and food security; women in development; and tropical agriculture and environmental economics. She has published five books and a large number of articles and papers. Her books include: Strategies for Smallholder Agricultural Development in Kagera region, Tanzania (Agricultural University, Uppsala, 1979); Tanzania's Priority Social Action Programme (Dar-es-Salaam University Press, 1993); Poverty and Social Exclusion in Tanzania (ILO, International Institute for Labour Studies, 1996); The Social Services Crisis of the 1990s (Ashgare Publishing Ltd, London, 1998). Mrs. Anna Tibaijuka speaks English, Swahili, Haya, Swedish and some French. She is a widow and has four children.